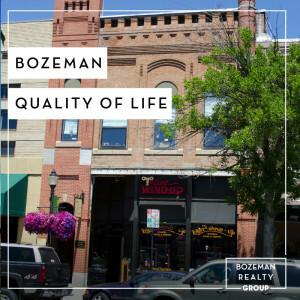 Bozeman is known for its friendly people, sense of community, excellent schools and quality of life. The town has a western charm and a relaxed attitude. The Bozeman Quality Of Life index rates very well due to access to Outdoor Recreation, Amusement, Culture, Education, Medical, Religion, Restaurants and Weather. Bozeman ranks as one of the best places to live, best places to retire, best place to raise a kid, best place to visit, best ski town, and best college town. Bozeman has the cultural amenities of a local symphony and ballet, an energetic downtown restaurant and art scene, and the vibrancy of a college community. Located 16 miles north of Bozeman in the Bridger Canyon area is Bridger Bowl, a home-grown, nonprofit community ski area operating since 1955. Big Sky Resort is less than an hour away and is also frequently recognized as one of the world’s best ski resorts, most affordable ski resort, and best ski resort for families. 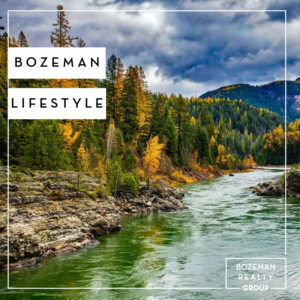 When it comes to outdoor recreation Bozeman is surrounded by 6 different mountain ranges, which offer vast winter and summer recreational opportunities. A world class destination for fly fishing, Bozeman is home to the word’s most famous Blue Ribbon fly fishing rivers, spring creeks and lakes on Earth. The Yellowstone, Madison, Gallatin, Jefferson, Beaverhead, and Missouri rivers are all nearby. Bozeman has 60 miles of “Main Street To Mountains” trail system in town, surrounded by 6.9 million acres of public land.